Nicknamed the “Disappearing Waterfall” by many contractors, the Pondless Waterfall still gives the sounds and tranquility of a Pond with stream and waterfall, while giving the illusion that the water is disappearing. 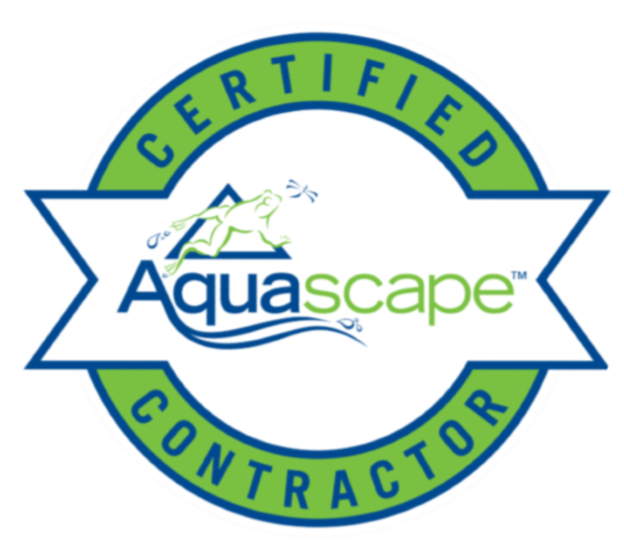 With minimal need for upkeep, reduced water use and the ability to adapt to small spaces, this is fast becoming one of the most popular water features being installed by contractors in the Alpharetta, Fulton, Duluth & Gwinnett Georgia (GA) Area. Disappearing waterfalls or "Pondless Waterfalls" are a great, low maintenance waterfall option for your landscape. If you live in the North Atlanta area a waterfall may be the perfect addition to your landscape. Unlike a pond, the water ends up in a re-circulating basin that is hidden underground. Cost can be a big factor when considering the type of water garden you want to build. 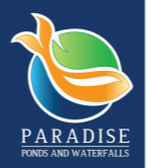 In most cases, the price of an Pondless® Waterfall will be less than a pond, because there is less labor involved, as well as less rock and materials. Operating costs are also less. 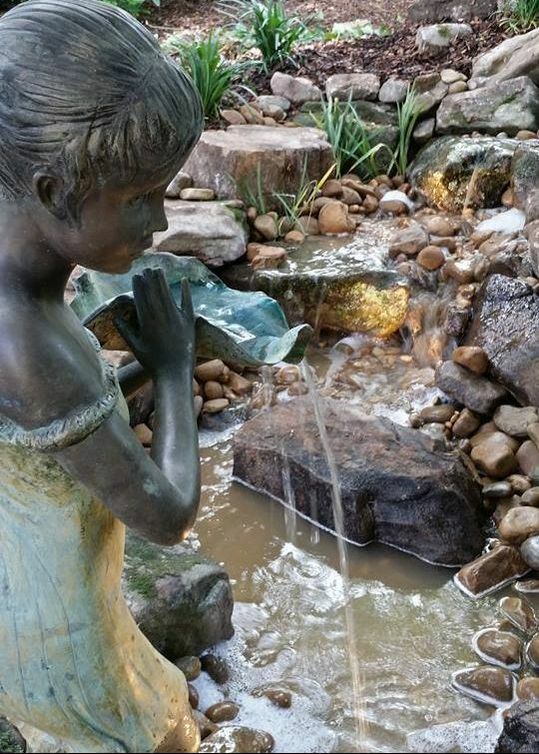 Perhaps the best part of the Pondless® Waterfall is the possibility for the future. If you change your mind later, wishing you had built a pond, that is ok! 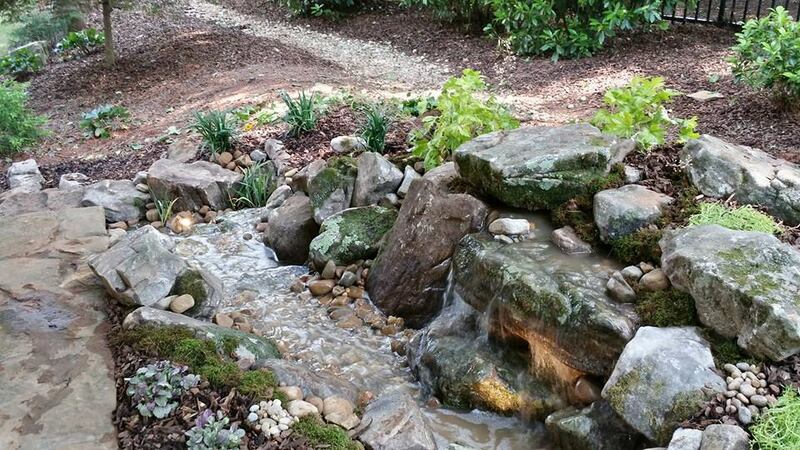 If you leave enough room around the base of the waterfall, it is easy to add a pond onto an Pondless® Waterfall.